B. Manohar, J. 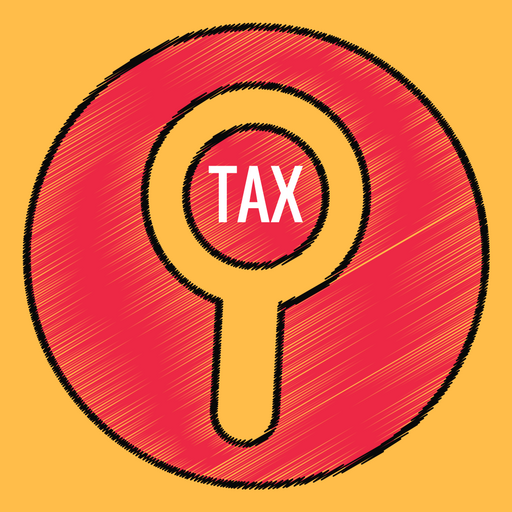 – The assessee filed this appeal under section 260A of the Income-tax Act, 1961 (for short “the Act”), challenging the order dated July 13, 2007, made in I. T. A. No. 82/Bang/2005 passed the by the Income-tax Appellate Tribunal, Bangalore Bench “A” (for short “the Tribunal”), dismissing the appeal filed by the assessee confirming the order passed by the authorities below in respect of deduction under section 80-O of the Act, for the assessment year 1997-98. 2. The assessee, in the status of an individual, filed return of income for the assessment year 1997-98 declaring the total income of Rs. 5,23,576 on October 29, 1997, and claimed deduction under section 80-O of the Act. The said return was processed under section 143(1) of the Act on March 26, 1998. Subsequently, the Assessing Officer issued notice dated September 27, 2000, under section 148 of the Act for reopening the assessment. On receipt of the notice, the assessee, vide letter dated October 13, 2000, requested the Assessing Officer to treat the returns filed on October 29, 1997, as the returns filed in response to the notice under section 148 of the Act. Further, requested the Assessing Officer to furnish a copy of the reason recorded for initiating reassessment proceedings. In pursuance of the notice, an authorized representative of the assessee appeared and produced necessary documents and argued the matter. The Assessing Officer after hearing the matter on various dates held that the assessee is not entitled for the benefit of deduction under section 80-O of the Act since the assessee has rendered service in India as per Explanation (iii) to section 80-O of the Act. Accordingly, by his order dated December 26, 2001, reassessed the income of the assessee under section 143(3) of the Act and demanded interest under sections 234B and 234C of the Act. 3. The assessee being aggrieved by the reassessment order dated December 26, 2001, passed under section 143(3) of the Act preferred an appeal before the Commissioner of Income-tax (Appeals)-II, Bangalore (for short ‘the appellate authority’) on various grounds. The appellate authority, after re-examining the matter and taking into consideration the retainer agreement entered into between the assessee and M/s. Buckeye Corporation P. Ltd. held that in view of Explanation (iii) to section 80-O, the assessee is not entitled for the relief and dismissed the appeal by his order dated October 25, 2004. 4. Being aggrieved by the order passed by the appellate authority, the assessee preferred an appeal before the Tribunal, mainly contending that reopening of the assessment is contrary to law and the assessee is entitled for deduction under section 80-O of the Act. In view of Circular No. 700, dated March 23, 1995 ( 213 ITR (St.) 78), passed by the Central Board for Direct Taxes (for short “the CBDT”), the Appellate Tribunal after re-examining the matter held that the assessee has rendered his service in India and received the fees in foreign exchange out of the retainer agreement entered into between the assessee and the foreign enterprises and in view of Explanation (iii) to section 80-O of the Act, the assessee is not entitled for any relief and dismissed the appeal. Being aggrieved by the order passed by the Tribunal, the assessee preferred this appeal. “(1) Whether, on the facts and in the circumstances of the case and in law, the Appellate Tribunal grossly erred in dismissing the appeal without considering the submissions made by the appellant challenging the reopening of the assessment by initiating proceedings under section 147 of the Act ? 6. Sri K. P. Kumar, learned senior advocate appearing for M/s. Vasan Associates for the appellant, contended that the order passed by the Appellate Tribunal confirming the order passed by the first appellate authority as well as the assessing authority is contrary to law. He submitted that, reopening of the assessment under section 147 of the Act is contrary to law. It is not open to the Assessing Officer for reappraisal of the opinion already reached and change of opinion is not permitted under the law. Hence, reopening of the assessment is without jurisdiction. He further submitted that the Assessing Officer had failed to furnish the reason for reopening the assessment. The appellate authority failed to appreciate the Circular dated March 23, 1995, issued by the Central Board of Direct Taxes. He submitted that the assessee is an advocate by profession. He entered into a retainer agreement with M/s. Buckeye Corporation P. Ltd. He has given legal opinion on all matters required by the company since the said company wanted to establish an industry in India. The assessee being the resident of India has fulfilled all the conditions as prescribed under section 80-O of the Act. In consideration of professional service rendered or agreed to be rendered outside India, he received fee in convertible foreign exchange and it was brought to India. Hence, he is entitled for deduction of 50 per cent. of the income so received or brought to India in computing total income of the assessee. The services rendered by the assessee is out of India to a foreign enterprises. The circular issued by the Central Board of Direct Taxes, vide Circular No. 700, dated March 23, 1995, categorically states that as long as technical and professional services are rendered from India and are received by a foreign Government or enterprise outside India, deduction under section 80-O would be available to the person rendering the services even if the foreign recipient of the services utilizes the benefit of such services in India. The Tribunal misunderstood and misread the circular. He also relied upon the judgments reported in CIT v. Inchcape India (P.) Ltd.  273 ITR 92/143 Taxman 234 (Delhi) ; Li & Fung India (P.) Ltd. v. CIT  305 ITR 105/172 Taxman 236 (Delhi) ; CIT v. Eicher Consultancy Services Ltd.  167 Taxman 64 (Delhi) and sought for allowing the appeal. 7. On the other hand, Sri K. V. Aravind, learned counsel appearing for the Revenue, argued in support of the order passed by the Tribunal and contended that the assessee is not entitled for the benefit under section 80-O of the Act. The retainer agreement entered into between the assessee and M/s. Buckeye Corporation P. Ltd. clearly disclose that the assessee has to act as an advocate and render all legal services and to conduct cases in India in view of Explanation (iii) to section 80-O of the Act. The assessee is not entitled for any deduction. In support of the said contention, learned counsel for the Revenue relied upon the judgment in Anand & Anand v. CIT  286 ITR 432/152 Taxman 113 (Delhi) and sought for dismissal of the appeal. 8. We have carefully considered the arguments addressed by the learned counsel for the parties and perused the orders impugned and other relevant records. “(i) That the company hereby retains and appoints the said advocate to act as its advocate and to render all legal advice and give opinion on all matters required by the company including but not limited to requisitions made, therefore, to the said company and to represent it in all matters which may be pending in any of the courts brought by or against the said company and representations before any Tribunal regulatory or administrative authority during the continuance of this agreement and to examine all abstracts of title, documents and correspondences and prepare all agreements and contracts and do all such acts and render all such legal services as the said company or any of its officers or directors, acting officially, may require. 11. Reading of the above section makes it very clear that deduction is admissible under section 80-O only if the income of the assessee includes receipt by it from the Government of a foreign State or foreign Enterprises in convertible foreign exchange in consideration of professional services rendered or agreed to be rendered outside India to such enterprises by the assessee. Explanation (iii) to section 80-O of the Act makes a clear distinction between the services rendered or agreed to be rendered outside India which expression includes services rendered from India. However, it will not include services rendered in India. In the instant case, reading of some of the clauses of the agreement makes it very clear that in convertible foreign exchange by way of fee received by the assessee for the services rendered in relation to legal proceedings in court within this country, it falls under Explanation (iii) to section 80-O, i.e., services rendered or agreed to be rendered in India. Hence, the assessee is not entitled to claim deduction. Further, reading of the clarification made by the Central Board of Direct Taxes in its circular dated March 23, 1995, it is very clear that “the technical and professional services are rendered from India and are received by a foreign Government or enterprises outside India, deduction under section 80-O would be available to the person rendering the services even if the foreign recipient of the service utilizes the benefit of such services in India”. In the instant case, admittedly the service has been rendered in India representing the foreign company in the litigation brought forward by or against the said company. For the services rendered in India, the company has to pay $10,000 payable on or before 5th of every month as a retainer fee in convertible foreign exchange. Hence, the Board Circular will not come to the aid of the assessee. To avail of the benefit under section 80-O, he has to come within the purview of Explanation (iii) to the said section. In the instant case, the assessee is rendering services in India to a foreign company, hence he is not entitled for any deduction. 13. We are in respectful agreement with the view taken by the Delhi High Court in the case referred to above. The Tribunal, the first appellate authority and the assessing authority on examining the matter concurrently held that the assessee is not entitled for deduction under section 80-O of the Act. We find no infirmity or irregularity in the order passed by the authorities below. On re-examining the matter, we also found that the assessee is not entitled for any deduction under section 80-O of the Act. Hence, the substantial questions of law framed in this appeal are held against the assessee. Accordingly, the appeal is dismissed. This entry was posted in Section 80-O and tagged 363 ITR, In favour of Revenue, Karnataka High Court.